Don’t lose access to your MATLAB, SPSS, SAS and Adobe Creative Cloud software. Renew licenses by June 22 through UWare, the UW’s online source for software offered at reduced cost to you, thanks to licensing agreements with vendors. 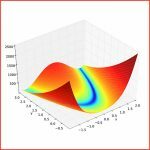 MATLAB (MATrix LABoratory) software delivers powerful computational, visualization and application development tools to your desktop, while SPSS (Statistical Package for the Social Sciences) and SAS (Statistical Analysis System) are statistical software packages. Adobe Creative Cloud includes graphic design, photography, video editing and other applications. Use of these licenses is for teaching, learning and academic research purposes only and not for conducting University business or for any other purpose.